If Leine Basso had her own TV series, an episode a day wouldn’t be enough for me. I just can’t get enough of her. In this, the third in the Leine Basso, (retired assassin extraordinaire), adventures, Leine has to find two young people, Elise and Josh, missing after night out in Mexico. Was it a carjacking that went wrong or something more sinister? ‘Keep away or else’ is like a red rag to a bull with someone like Leine, and she’s determined to get to the truth. Undeterred by Elise’s parents’ reticence, a rather unscrupulous informant, injury and a shedload of Mexican undesirables, our very courageous, plucky and fearless heroine does her best to get to the bottom of the youngsters' disppearance, supported as always by her detective boyfriend. Suffice it to say, Berkom has done it again. She manages to inch your derrière right onto the edge of your seat and keep it there from page one through to the very end as Leine uncovers the awful truth. 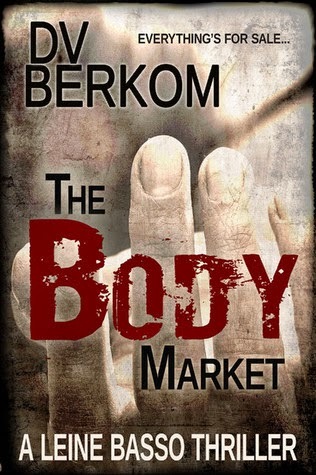 Berkom has conceived an addictive heroine: smart, beautiful, compassionate, brave (if a little headstrong! ), but hasn’t made her too perfect to be incredible. She’s made mistakes in her past but learns from them. Berkom has an unmatched ability to paint a scene to a T, no matter if it’s fast-paced action or in the bedroom. This book has a little bonus extra short story at the end. Don’t, whatever you do, pass it over. It’s priceless. To say I’m looking forward to the next book is an understatement. I need Leine Basso in my reading life!